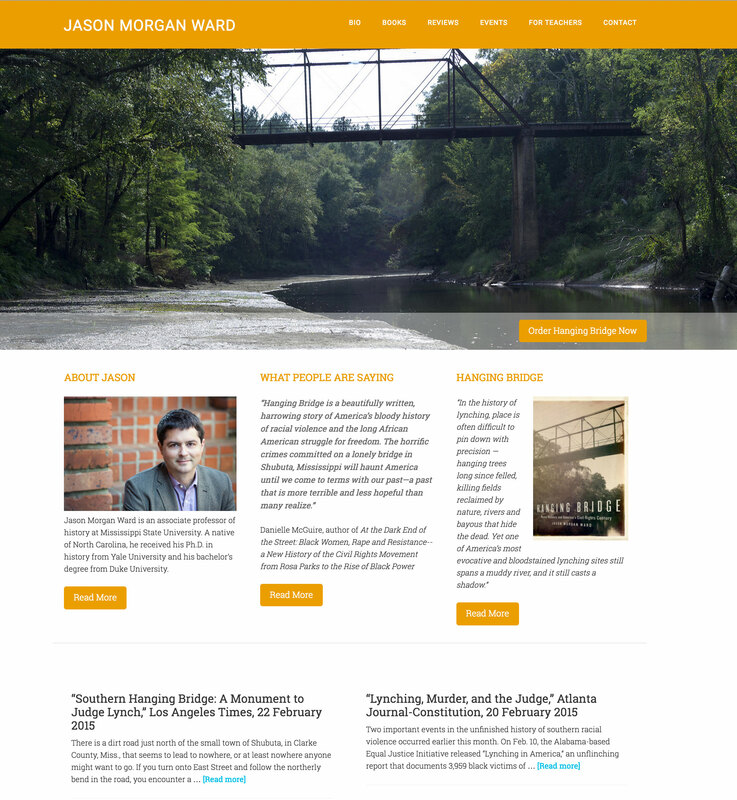 Author Jason Morgan Ward had just published his new book, Hanging Bridge, and wanted to be able to promote it and upcoming associated events as well as provide materials for teachers. We customized a pre-designed website to suit his needs. Jason is able to update and maintain his website on his own, allowing him to add new events, reviews about his work, and more.